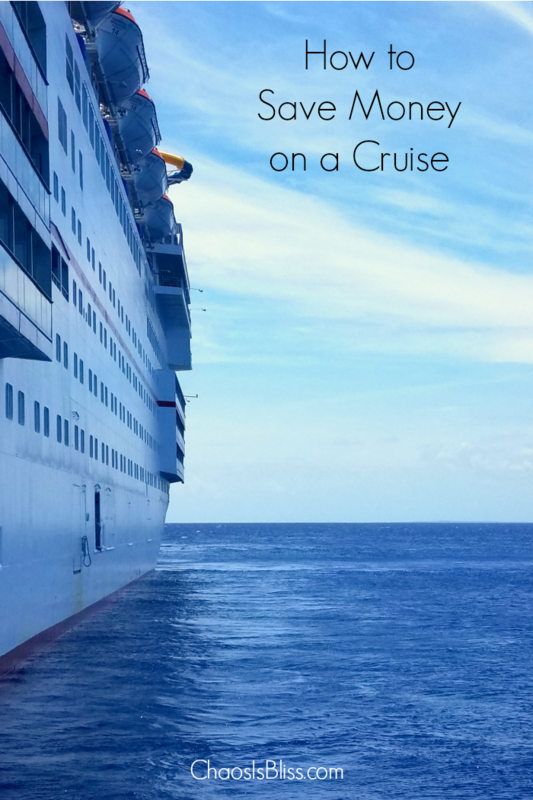 Cruises can be one of the most expensive ways to travel, but there are still ways to learn how to save money on a cruise! 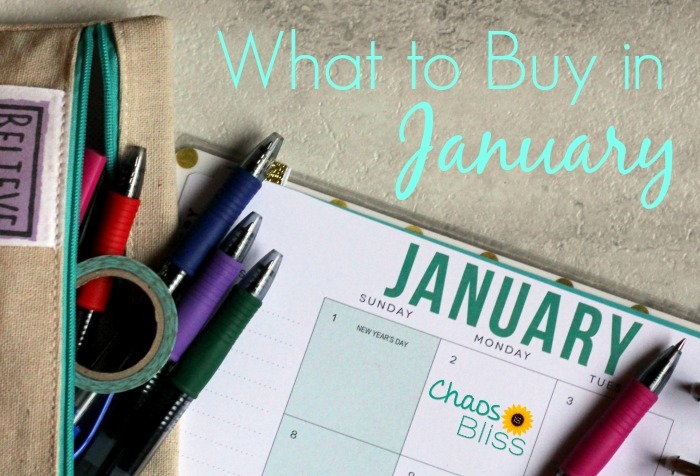 I did LOTS of research before our first family cruise, and compiled my tips for those like us on a tight vacation budget. Make sure to pin this post to your travel board and refer to it often as you prepare – and budget – for your cruise! Sign up for email updates from the cruise lines you’re considering. You will be among the first to know when a promotion is released. Also check Priceline and Expedia for cruise deals, especially for last minute travel. 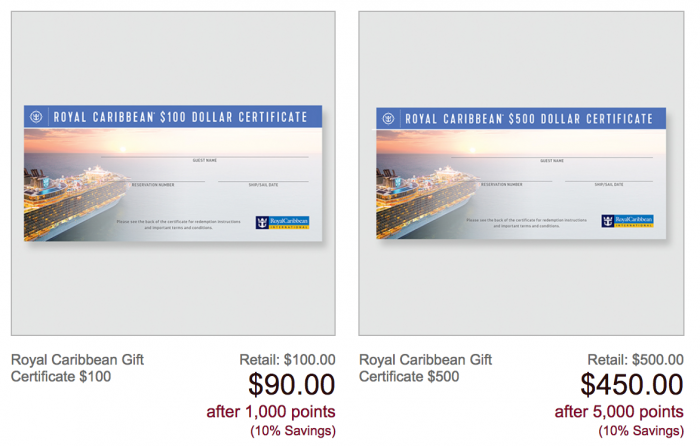 Purchase Carnival and Royal Caribbean gift cards at 10% off from the AARP Rewards for Good website (even if you’re nowhere near retirement age). You can use to pay for your cruise, reserve for gratuities or on-ship souvenirs (which is what we did). If they aren’t currently available, check back often as inventory changes frequently. Bring a lanyard for your room key card so you don’t purchase one priced 1,000% higher onboard. On Carnival, your room key card is called a Sail & Sign (S&S) card; basically it’s both your room key and onboard payment method. It would be very easy, especially for kids, to lose their card. I have a fancy but cheap glittery lanyard from Charming Charlie that I let my older daughter use, but we didn’t know this money-saving cruise tip ahead of time and ended up purchasing a lanyard onboard for our son for $7.95 (which then became a souvenir). I wish I had bought it ahead of time, for just a buck or two. Save on shore excursions. Cruise lines offer excursions, but you can save money by booking through a reputable company ahead of time, often at half the cost of booking an excursion through your cruise. Research excursions on TripAdvisor (under “Things to Do”), and look at reviews – both positive and negative. Take it a step further and go to the company’s website and Facebook page where you may find additional reviews, or even your own friends who have “liked” the Facebook page and could possibly share their experience with you. Go low key with a beach day. If the sticker price of shore excursions makes you want to hole up in your stateroom, in most Caribbean ports you can hop off the boat and take a free day soaking in the sand and surf. You can rent a beach umbrella for as little as $10 all day, and skip the pricey clamshells (left side of pic below) which offer zero breeze! 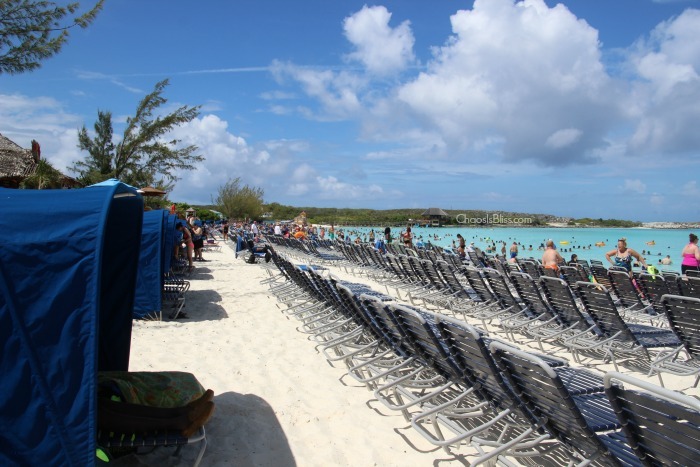 When we visited Grand Turk before hurricanes Maria and Irma struck the island, I was thrilled the visitors’ bureau offered a good supply of free beach umbrellas. 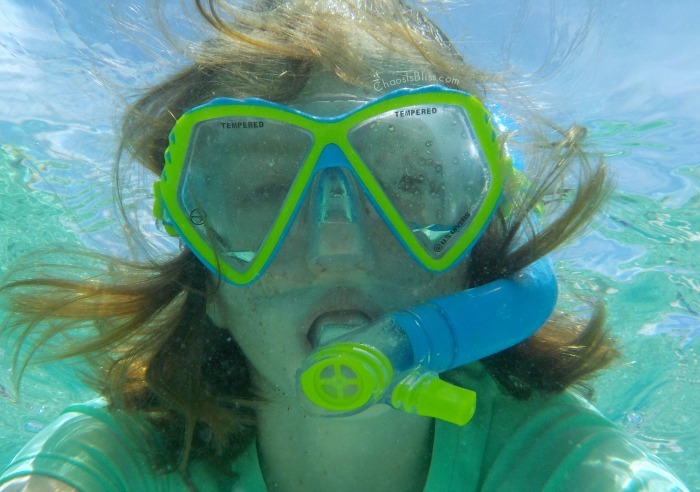 Purchase and pack snorkel equipment if you plan to take a dip in the ocean. We picked up 2 snorkel sets for our older kids at Target (more varieties here on Amazon), which saved money over renting and alleviated the risk of germs from semi-sanitized rental sets. Ew! Order bottled water – or even beer – ahead of time and have it delivered to your cabin. With our family of five, we had two side-by-side cabins. I pre-ordered a 12-pack of bottled water from the Carnival Fun Shops, and they were waiting in our rooms when we checked in. We ended up bringing a few leftover water bottles back in our suitcases. Bring empty, reusable water bottles to avoid needing to purchase bottled water at all. Fill up at any beverage station on the ship. Consider the onboard drink packages and do the math to see if it would save money for your family. They’re not for everyone, but they may save you a lot of money if you’re a big soda drinker. On our last family cruise, we bought the soda package for just our 3 kids – but what we found is that juice, milk and tea were included free with every meal anyway, so they really only had one or two sodas a day. It ended up not being such a good deal for us. Do the math and figure out your breakeven point. And FYI for the alcohol drink packages, we figured it would be around 11 drinks a day just for the breakeven point! We did however, splurge on local beer once or twice. 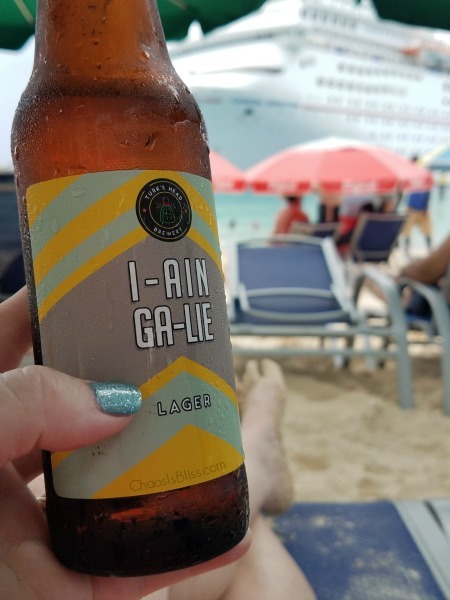 You can bring a 12 pack of soda or up to 2 bottles of wine, per adult, onboard with your luggage when you first board (check your cruise line’s policy to confirm, but is was the case on Carnival and Royal Caribbean). Keep in mind though – it will weigh you down, literally! But if you don’t mind lugging it in your luggage, you can easily save $20 or more per wine bottle over purchasing a bottle on board. Take advantage of meals already included in your package. This includes day one of your cruise. Time your arrival to the ship so that you can eat your first cruise meal before you even leave the dock – it’s already paid for! When you’re at a port of call, eat a good meal on the ship before departing for a day at your port, maybe enjoy just a snack at a local eatery, then have your main evening meal back on the ship. Lastly, even on your debarkation morning, you can still eat breakfast in the MDR (main dining room) before disembarkation – good to the last crumb! 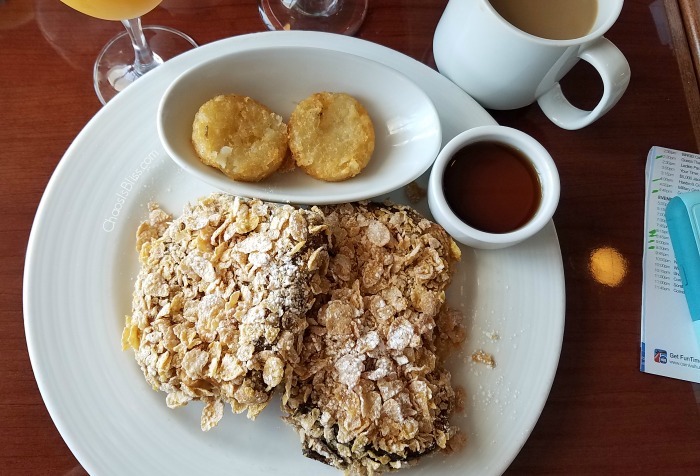 This is my Frosted Flakes French Toast – yum! While I’ve only been on three cruises so far, I’m always looking for ways to stretch our vacation dollars. 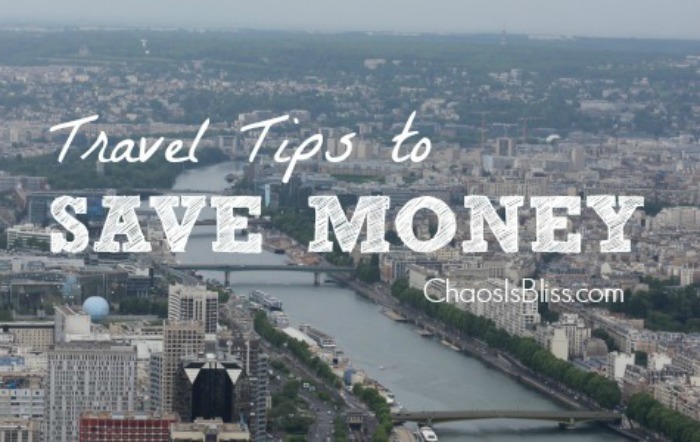 I hope you’ve learned a few tips on how to save money on a cruise so you can spend less on your next family vacation!